After a year-long international tender process, the ITER Organization has selected the Construction Management-as-Agent contractor that will manage and coordinate the assembly and installation of the ITER Tokamak and associated plant systems. From left to right: Bernard Bigot, ITER Director-General; Tom Jones, vice-president for Business Development of Amec Foster Wheeler Nuclear; Hubert Croly-Labourdette, vice-president for Strategic Operations, Assystem; and Jik-Lae Jo, executive senior vice-president, KEPCO E & C. (Antoine Calmes, of ITER's Procurement & Contracts Division, looks on). On Monday 27 June, ITER Director-General Bernard Bigot signed a ten-year EUR 174 million contract with the MOMENTUM joint venture led by Amec Foster Wheeler (UK) in partnership with Assystem (France) and KEPCO Engineering and Construction (Korea). "We are proud to continue this journey with you and we thank you for putting your faith in us," said Tom Jones, the vice-president for Business Development of Amec Foster Wheeler Nuclear, speaking on behalf of the MOMENTUM joint venture. The role of MOMENTUM will be to provide the services, systems and processes to manage work execution to the highest international standards of quality and safety. The ITER Organization will place a series of work contracts for the assembly of the Tokamak machine and the mechanical and electrical installation of the plant systems; in addition, Domestic Agencies will also have their own contracts for some plant installation works. The MOMENTUM joint venture will work closely with the ITER Organization to coordinate all work carried out under the different contractors. Some 2,000 workers are expected on site during the peak of assembly and installation activities. Services included within the scope of the Construction Management-as-Agent include contract management, configuration management, project management, construction preparation, site coordination, works supervision, and activities leading up to mechanical completion. Each of the MOMENTUM joint venture partners has a proven track record in delivering complex construction projects in the nuclear, oil and gas, aerospace, pharmaceutical and mining sectors. "The role of the Construction Management-as-Agent is absolutely central to the success of the ITER Project," said ITER Director-General Bigot. "And since fusion holds so much potential as an environmentally clean and virtually limitless, safe source of energy, the stakes of success for the seven ITER Members are very high. 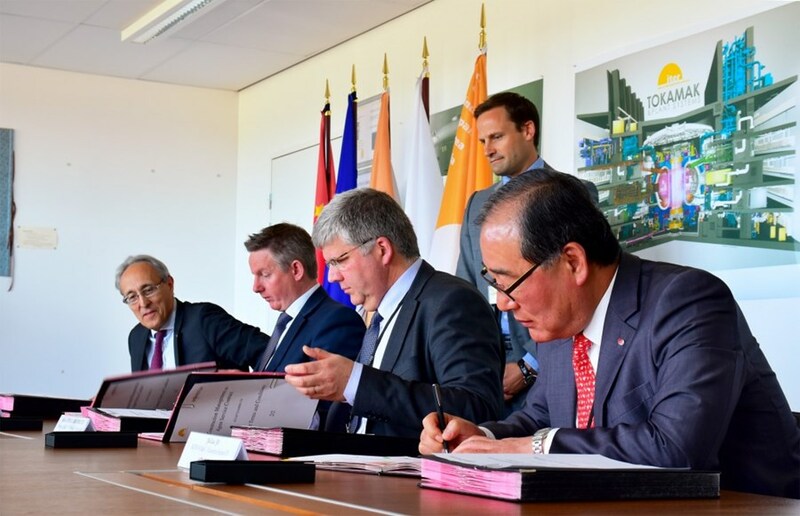 With the expertise represented by the MOMENTUM joint venture, we feel confident that the assembly and installation of the ITER facility will meet its objectives: delivery on time and on budget with the highest standards of quality."